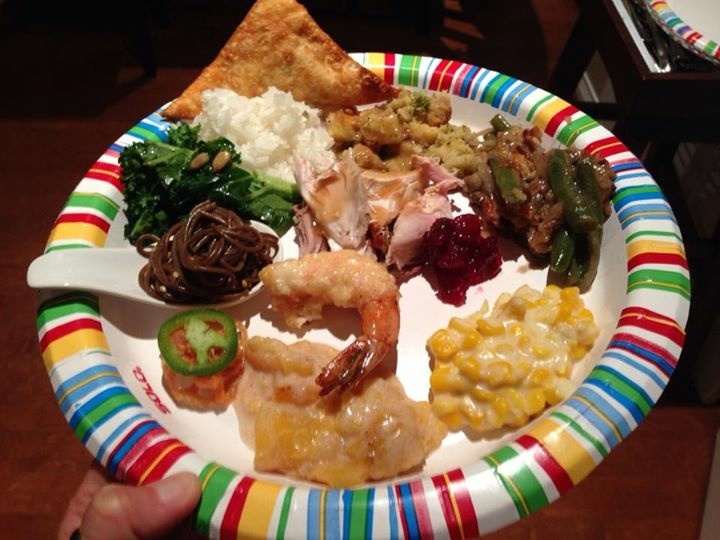 A holiday plate featuring Brazilian, Korean, Japanese, Chinese, and traditional American Thanksgiving food made by many moms. Thanksgiving is the quintessential American holiday, and it's a prime time to show off the diversity that defines Southern California. KPCC-LAist journalists want to know how your cultural background infuses your Thanksgiving dinner. Have you chosen to bypass turkey in favor of a different tradition?